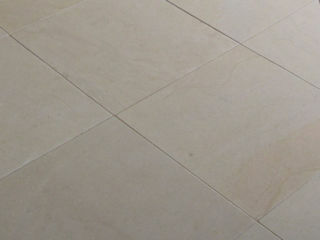 Cocullo is an exclusive limestone originating from Europe. The natural stone is characterised by its predominantly mid-grey background, warm hues and unique fossils throughout. Cocullo is available in a large variety of sizes and is suitable for use in bespoke architectural projects indoors and out, as well as unique landscape designs. Looking to create a one-of-a-kind project finish? Come and talk to us. We're always working to bring in new products for those specifiers looking to create a completely unique impression with something outside of the standard range. Here we'll profile both the work-in-progress development of one-of-a-kind formats and finishes and the projects which have featured them. If you're looking for a custom project solution, drop into your nearest showroom or contact your Eco Outdoor® rep today. Our Project Stone products are ideal for use in bespoke architectural projects indoors and out, as well as unique landscape designs.